Responsive & Retina Ready � Blaszok is fully responsive. It looks good on any resolutions and across all devices. It�s retina display ready. We manage to give user the same experience everywhere. 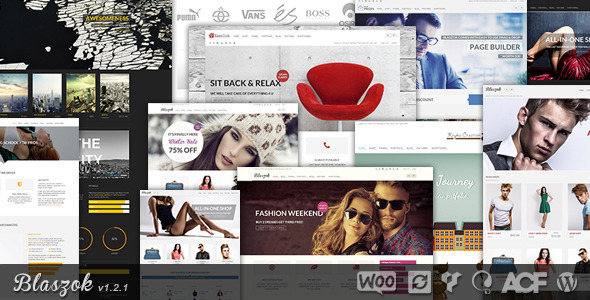 Woo Commerce � with Blaszok you can start selling today, it fully supports Woo Commerce 2.1+. A part from standard features we have added some more like catalogues and wishlists. Save $74 � when you buy Blaszok you really save $74 because it includes a great value inside like: Visual Composer, Slider Revolution, custom widgets & shortcodes packas. WPML Ready � with Blaszok you can easily use the great multilingual plugin called WPML and trasnalte your site with ease to any language you like. Rapid Install � This theme is very easy to install and setup. We made sure everything is as clear as it can be. This product comes with complete documentation and support system. Easy Customization � We use our own custom admin panel, Visual Composer inlcluded � worth $30, tons shortcodes. The posibilities are limitless! Slider Revolution � Blaszok comes with Slider Revolution one of the most advanced slider on the market � worth $19. Shortcodes/Addons � Visual Composer comes with great deal of awesome shortcodes but we have added more! Free Updates & Support � we are always providing free support & updates for our products. 600+ Google Fonts � you can choose any font family you like from over 600 fonts for any element of the page. 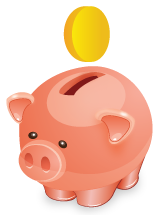 Multiple Portfolio � with different portfolio options and portfolio post sized you can create almost limitless versions of portfolio. Made with Love � In MassivePixelCreation we have a passion to make great things. Thats why our products are unique and original in every way. We focus on performance, design and usability.